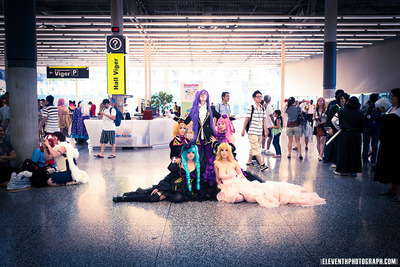 I just came back from my second year at Otakuthon in Montreal, which is in the French land of Quebec. Oui oui! I took more photos then I expected, yet again! There was a ton of good costumes at the con, though perhaps not quite as many as AX or Otakon offer, but nothing to scuff at. The hotel we stayed at was quite roomy, a two-bedroom apartment pretty much! It was about a ten minute walk to the con center from there, right through Chinatown. 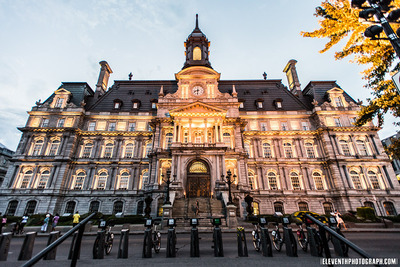 Thursday evening we toured old Montreal and did some sight-seeing (photos at the end of the gallery), had dinner to finish the day off after 6 hour drive from T.O. Friday started slow as a few of us showed up at 12pm…early by a few hours. I was caught off guard by how fast the con filled up with people, and started snapping photos like a mad man. I ended up doing several shoots through the weekend, with Sierra, Vicky & Jessica, Monique, Rebecca, etc… Met up with old friends and like usual made a few new ones, always so many people!! I attended the 404’s sat night panel with Alex, Sierra, Edgar and Tamish, and right off the bat we literally, laughed our asses off, they were THAT funny. I always enjoy the 404 18/16+ show and attend it when I can. The other item I attended was the Scott McNeil Panel which he also kept quite entertaining and amusing; the man is a comical genius. Processing these photos takes a while, but here’s the gallery for your viewing. As always if you see a photo of yourself, feel free to ask to purchase it for $70 $5 which will include a nice 2000pixel image with a minor WM and additional touch-ups, $3 for any additional photo on top. 2000 pixels you ask? That’s over twice the length/height of the ones posted here(! ), and yes-they do look much better full-view. Photoshoots are also available for sale. Email me at mike(at)eleventhphotograph.com for details, thanks.